Tate Liverpool presents a new film made by a group of artists, including Ben Rivers and Margaret Salmon. Filmed in the Scottish Highlands, Illuminating the Wilderness 2018 documents the exploration of Glen Affric by people who are highly sensitive to the sensory stimuli of the world around them. The film is at the heart of a collaborative project entitled EXPLORERS 2019, which involves Tate Liverpool and Project Art Works together with six other major partners in the UK and Australia. Project Art Works is the UK’s leading artist-led organisation working with neurodiverse adults, young people and children. Neurodiversity is a term and approach to learning and disability, which reflects and respects differences in those members of society who have a range of complex physical and neurological support needs. Illuminating the Wilderness is a new work made by Project Art Works’ artists Kate Adams and Tim Corrigan, in collaboration with artists Ben Rivers, Margaret Salmon, and Project Art Works’ artists and makers, their families and support teams. The film follows the shared experience of days spent together investigating a remote Scottish glen, as well as the pleasures and challenges of neurodiverse responses to the landscape. The explorers stay in lodges among trees and venture out to find a small island. They travel about in a convoy of 4×4 vehicles and share a night in a remote bothy under a crisp night sky. This gives way to torrential rain during the early morning retreat back to base. Moments of humour and tender consideration for each other are revealed as the film unfolds in and around the landscape and weather systems of the mountains. Complementing the film is an evolving installation of artwork made in collaboration with neurodiverse people and groups from Social Care organisations across Merseyside including Natural Breaks, Options for Supported Living, Blue Room, and Thingwall Resource Centre. Initially a series of huge blank paper banners, the installation will be increasingly populated by drawings and paintings made by the groups as well as general visitors taking part in gallery workshops throughout the presentation. Illuminating the Wilderness and the accompanying art installation is part of an annual season of commissions entitledWe Have Your Art Gallery. Previous projects include Art Gym, O.K – The Musical, and Utupya by Brazilian collective OPAVIVARÁ. We Have Your Art Gallery is an experimental and developing project that reimagines what a museum can be and how it can programme for and with the public. EXPLORERS 2019 is the culmination of a three-year programme of workshops, seminars, exhibitions, installations and new cultural commissioning models that place neurodiverse communities, artists and makers at the heart of civic and cultural life. 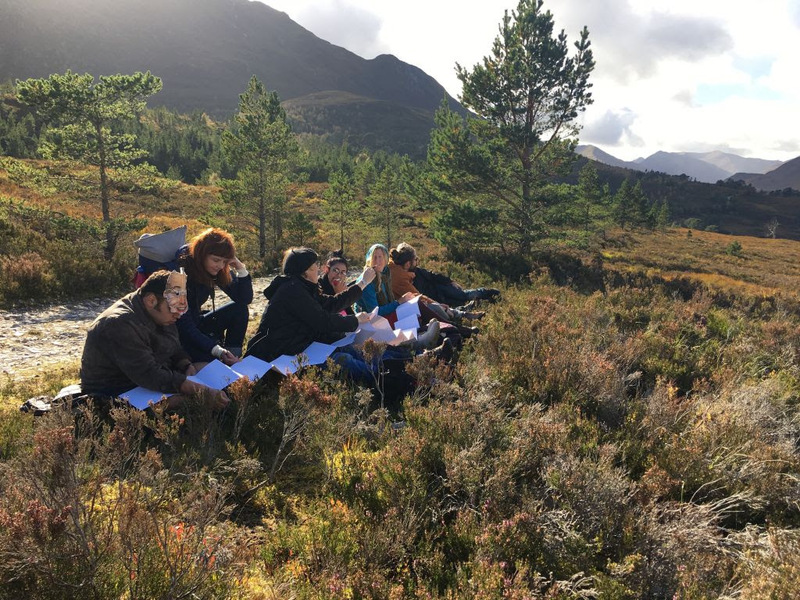 Illuminating the Wilderness and neurodiverse perceptions of ‘wilderness’ provide a metaphor for discussion on cultural inclusion that is central to the wider EXPLORERS programme of attitudinal change through art.